Basically, in the context of steam carpet cleaning, there are two main options. The first is to select professionals to come in and do the job. Alternatively, it is possible to do it yourself. The second option will require you to have your own steam carpet cleaning machinery and if you expect to regularly steam clean your carpets, the latter alternative may be something to consider. How the machine works? In order to steam carpet clean effectively, the suction on the device must be very powerful. Look at the different options available. Price is a good indicator of the quality of the product. Whilst you do not necessarily have to purchase a very expensive steam carpet cleaning machine, the fact is, a good quality one will set you back quite a bit. Look at parts or accessories that will need to be replaced regularly, such as brushes, pads or filters. If these need regular replacement, check the prices of these items as well, to factor the cost in. Examine the cost of the chemical product that is recommended by the company. Do not randomly purchase chemicals and always try to use what is recommended. It is important to understand how difficult or easy it is to use this gadget. Some steam carpet cleaning gadgets can be quite wieldy and difficult to use but tend to get the job done rather thoroughly. Find out details about the steam cleaning process, such as how long it will take, the results to expect and any pitfalls that come with poor execution of the instructions. Explore customer reviews of the specific product that you are looking at purchasing. These are easily available online and will provide you with a good insight about the product. If, after examining all these details, you are convinced that you should purchase a steam carpet cleaning machine, then it may be worth considering. 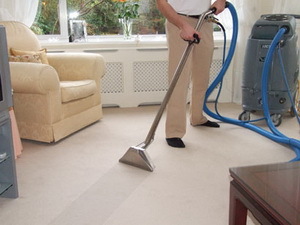 The alterative, of course, is to rely on professional steam carpet cleaning companies. If you only expect to clean your carpets once every 6 months or so, or if there are very few carpeted areas in your home, then it may not be necessary to purchase a carpet cleaner. You may find that it will be more cost effective and less taxing to just bring in the professionals instead. Time – realistically will you really do the job or is the steam carpet cleaning device going to sit in the cellar collecting dust? Quality of the job – can you do a better job than the professionals?